Feel like you don’t have the time to manage, moderate and post on your business social media accounts every day? Social media community management can be really time consuming and difficult for business owners to find the time to manage, however, it’s very important to keep an active social media presence. Instead, hire a professional and experienced social media manager within a budget that works for your business using CloudPeeps. Their professionals are handpicked from the best, creating a network of people you can trust to manage your business accounts. Have you ever sent dozens of emails back and forth with a client or partner, trying to find a time that works for both of you to meet? With Calendly, you skip the back and forth and create time slots that contacts can use to schedule a time that works for your availability. Just send a link to your Calendly, and they’ll pick a day and time themselves. Then you’ll both receive a Google calendar invite so the appointment shows on both calendars. Badabing, badaboom. It’s tough to find great employees, so when you do, you want them to stick around. With Gusto you can easily manage the most important parts of your employees’ tenure with you — their payroll, health benefits and workers’ compensation insurance. Gusto has great features like easy online enrollment for both payments and health benefits and personal touches to payroll stubs such as thank you notes and birthday messages. If you’re offering classes or appointments, it’s imperative to have a seamless booking system that makes scheduling time with your business easy for your customers. There are a ton of online booking tools out there, but one of the best of the bunch is Fynder. The tool was created by studio owners for studio owners, instructors and other personal service providers. It’s mobile friendly and designed to highlight your brand. It’s also integrates with Facebook pages, SquareSpace, WordPress, ClassPass, Stripe and more. If you’re creating contracts or documents that need to be reviewed by clients and signed, you can do this electronically by using a tool called FillAnyPDF.com. Upload documents, fill fields and request or add electronic signatures all through this tool. DocuSign is the leading provider for this service, but it you’re just starting out and have a small budget, FillAnyPDF is most competitively priced for small businesses. Hatchbuck is a sales and marketing automation platform that includes simple-to-use tools for email automation, contact management, and lead capture, and is priced competitively for the small business market. Ranked highest in customer satisfaction by Trust Radius and G2Crowd, Hatchbuck is a solution specifically built and tailored to self-made small businesses..
Expensify is the best way to track all business expenses to ensure you’re keeping your business and personal expenses separate. You can sync multiple credit cards, and easily scan receipts and track charges as soon as you make them with their mobile app. It’s great for managing employee expenses too with easy expense approvals. Expensify integrates with all major expense platforms such as Xero, QuickBooks, Sage and more. Sending recurring and occasional invoices is easy with FreshBooks, which allows you to charge clients with a couple clicks of a mouse and then receive the payments via credit card. You can also keep track of clients, expenses and time spent on projects too. If you like all-in-one software, FreshBooks is a great option. FreshDesk offers the best customer service management out there — manage all of your customer issues with a ticketing system that allows internal collaboration, time tracking and prioritization. 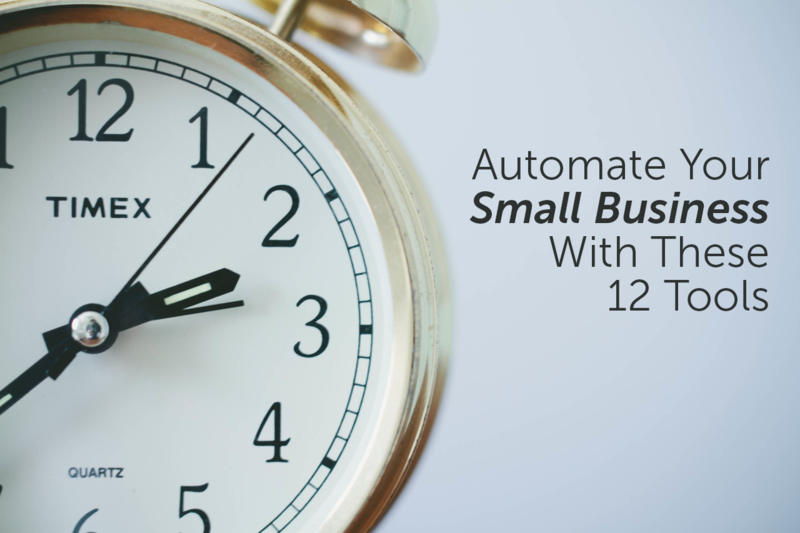 FreshDesk’s automation options also help you save time and money. Set up canned responses, set bulk actions that can categorize, delete or assign tickets with a few clicks, or setup scenario automations that allow you to perform the same set of actions quickly. Trello is a life-changing, free tool that can be used in a variety of ways. Use it to track projects and collaborate across your business, create your own to-do list, manage a content marketing calendar — Trello’s boards and lists let you do all of that and more. Trello also has a mobile app that syncs, so if you’re on the go and think of a project update or task, it can be added remotely and synced to the board your employees use. Grasshopper allows business owners to setup a professional phone system with their cell phone. You can keep an existing number for your business, if one has already been set up, or get a new toll-free or national number. Grasshopper allows you to forward all calls to your cell phone, receive transcribed voicemails to your email and skip buying expensive phone hardware for your entire office. It’s important to effectively manage email as a business owner — timely responses can mean more business and happy customers and partners. If you feel like it’s difficult to sift through the business from the junk, you might want to enlist the help of Unroll.me. This free service allows you to create one rolled-up email that consolidates the emails of your choice into one email a day. It also scans your email for all subscriptions and allows you to bulk unsubscribe from lists you don’t want to be part of anymore. Managing your business with Google Apps for Work will likely change the way you do business. Google’s tools are easy to use, integrate with one another and allow you the safety of keeping all of your important documents on the cloud, accessible anywhere and anytime. By using Gmail for your business email, you get the power of Google’s search engine in your email, tagging for easy email management, top-notch spam protection and 30GB of storage. Save and create all of your business documents — Word documents, Excel spreadsheets and POwerPoint presentations — using Drive. You can even have company meetings with up to 25 people via video conferencing using Hangouts. All of these tools and apps might not be necessary for your small business, but with a select few, you can save yourself time and money which can mean nothing but good things for your bottom line.